Boys have outperformed girls at the top A-level grade for the first time since it was introduced in Northern Ireland. They overtook girls by 0.4% at A*, which was first awarded in 2010. The performance gap between the genders also narrowed at the A*-A boundary, and it follows concerted efforts to address the disparity by education authorities. 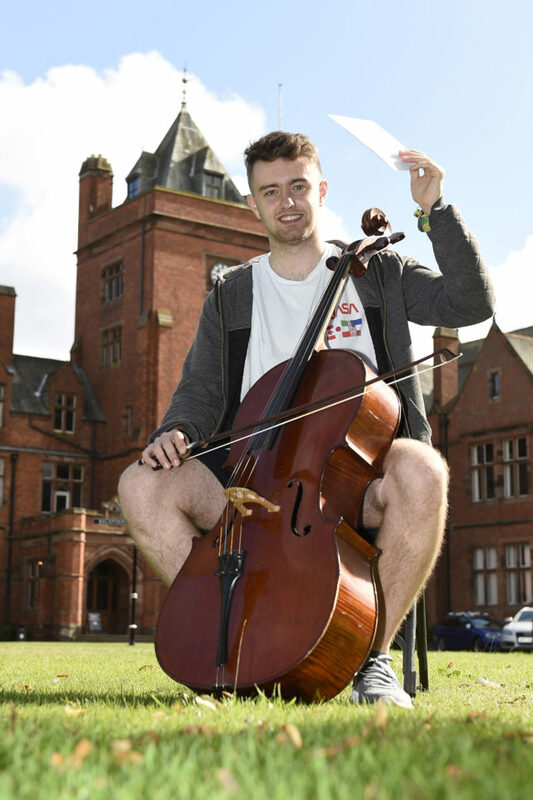 Robert Robinson, the head of Campbell College, an all-boys grammar school in east Belfast, said: "The nature of the exams has been tweaked slightly, a reduction in reliance on coursework suits boys better. "The exams themselves have been given more of an edge, challenging boys on the day and bringing out the competitive nature that is inherent in them. "In addition, the increased diversity in subject choice at sixth form benefits boys offering a broader, more versatile range of pathways for them to choose from." There was a small increase in those awarded the top grade, with just under a 10th earning an A*. Around 30,000 pupils received their A-level and AS results on Thursday morning. Among them were Northern Ireland's oldest mature student, grandfather Ken Humes, aged 70, who spent his career working in accounts and took a degree in maths. He said: "I am pleased and relieved that I have done it. I set myself up to be knocked down." The sister-in-law of a former loyalist leader achieved an A in Irish language. Linda Ervine said she did not speak a word of Irish seven years ago, and was delighted with her result. She tweeted: "Over the moon! Got an A in my A-Level Irish. 7 years ago I hadn't a focal and struggled with Cad e mar ata tu." The number of A-level entries declined this year by 5.8%, in line with demographics. Maths was the most popular subject, with one in 10 studying it, closely followed by biology, religious studies, English literature and history. More than a third of entries involved science, technology, engineering and maths (Stem) subjects. There was a small increase in the overall proportion of Stem entries, up to 40.1% this year. The proportion taking languages decreased slightly, mainly due to a fall in Spanish entries. Music and performing arts saw an increase. A new life and health sciences qualification proved popular, particularly with girls, and computing subjects saw a rise. Justin Edwards, chief executive of the Council for the Curriculum, Examinations and Assessment (CCEA) in Northern Ireland, said: "Once again, Northern Ireland's students have performed well, with a steady and strong performance across all grades. "The results are also recognition of the dedication and support provided by teachers and schools."